If you are looking for the method on how to backup iPhone without iTunes or iCloud, you can read this guide to get the exact solution. Just follow this guide to backup your iPhone content to Mac/PC computer with ease. This iPhone content manager can help you have a full control of your important data. Download it now and start to backup your iPhone to computer by following this guide. No one dared to ensure he would never drop his iPhone or have it stolen. We know unexpected things always happen. It's really terrible because there might be some important content on your iPhone, such as your cherished photos, favorite music, great applications, and so on. You can hardly get all of them back once they are gone with your lost iPhone. So you may tend to backup your iPhone very now and then to avoid such horrible disaster. 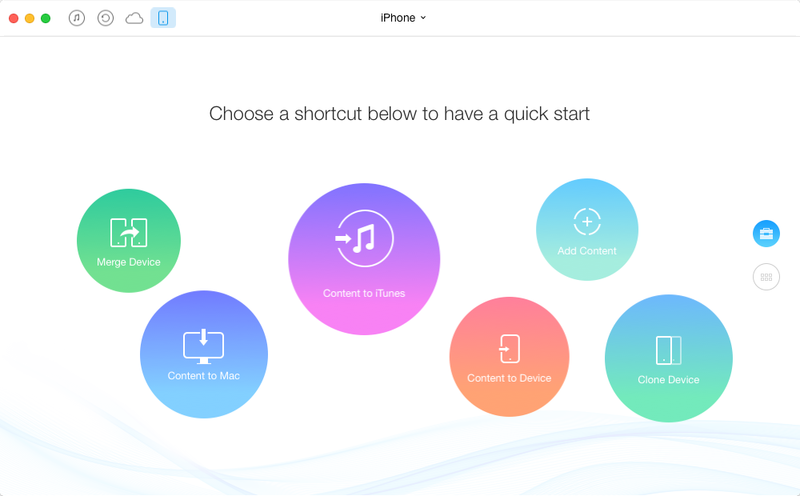 Apple offers two ways to help users backup content on iPhone: iTunes and iCloud. It might be the most common methods firstly come to your mind when talking about backing up iPhone. But both of these two methods will not allow you to backup specific iPhone files or easily access to the backup files, which is quite inconvenient. So is there any way that can help backup iPhone without iTunes or iCloud? Please keep reading to get the answer. To backup selective iPhone/iPad/iPod contents to your Mac or PC computer, one professional iOS data manager named AnyTrans is your first and best choice. Why? 1. It can help you backup almost all your important iPhone data to computer, like music, photos, videos, apps, contacts, messages, notes etc. 2. It also allows you to transfer your iPhone content to USB flash drive easily. 3. It lets you easily check the backup files on computer or transfer the backup contents to iPhone without erasing any existed data. Do make sure you've downloaded AnyTrans to your computer before starting to back up your iPhone. Step 1. Connect your iPhone to your computer whiling running AnyTrans. A user-friendly interface will pop up as shown below. Step 2. Click on Content to Mac/PC option on the homepage. Step 3. Select the items you want to backup and click on Select button to set the destination on computer. Then click on Right Arrow to start the transfer. 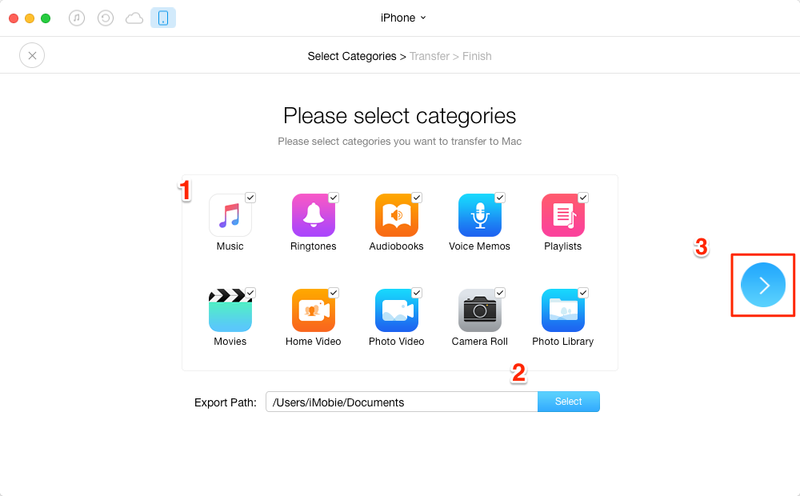 AnyTrans can be your best assistant in helping you have a better management of your iPhone/iPad/iPod content. Why not to have a 7-day free trial? If you like AnyTans and it's really helpful to backup your iPhone, please share it with other friends who may need help like you.